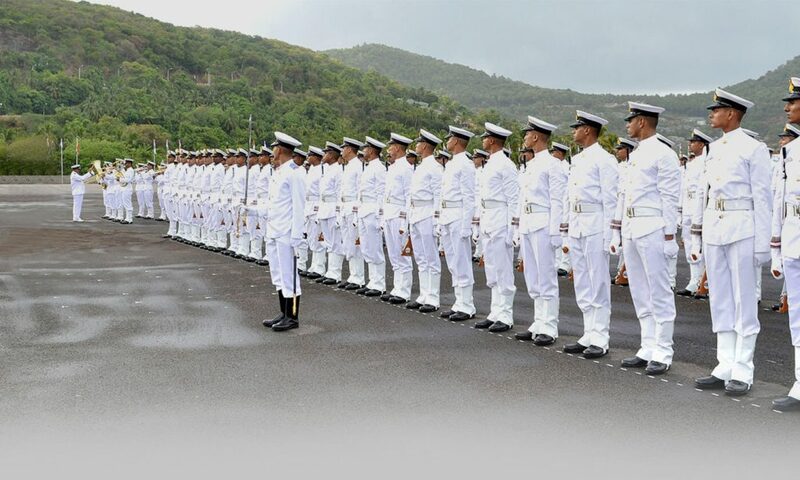 Indian navy is inviting online applications from the unmarried male candidates for enrollment as sailors for Senior Secondary Recruits (SSR) August 2019 Batch. Those candidates who have met the educational requirements can go through the following requirement advertisement. By reading the full notification they can also be able to apply online. • Application begins from 14th December 2018. • Last date of submitting online form is 30th December 2018. Applicants should have been born between 01st Aug, 1998 to 31st July,2002 (Both dates inclusive). Applicants must have to complete 10+2 exam with maths and physics and at least one of the following subjects. : Chemistry/ biology/ computer science. The must have qualified from and board, school of education, which is registered by govt. of India. A stipend of ₹ 14600/- will be provided per month on the time of training. After successfully completing the training procedure they will be placed in level 3 and the pay scale will be ₹ 21,700- ₹69,100. In addition applicable DA and a MSP of ₹5200 will be paid. NOTE: Promotion prospect will allow up to the rank of master chief petty officer with a pay scale of ₹ 47600- ₹ 151100. In addition applicable DA and a MSP of ₹ 5600 will be paid. Recruitment procedure is based on three steps. • Applicants need to appear for the state wise computer based examination. • Depending on the merit list of that exam the applicants will be called for physical fitness test (PFT). • Then fitness will be checked in medical examinations. • Before applying online the candidates must have to keep their matric certificate and 10+2 certificate ready for reference. The scanned of the same needs to be uploaded. • Filling up information like Email ID is compulsory. • Applicants need to register themselves with a valid email id in the official website. And then they need to log in with their e mail id for viewing current openings. • Already registered candidates must have to upload their educational and communicational details for viewing current opportunities. • The registration procedure is of two types. 1. with Aadhar and 2. Without Aadhar. With Aadhar is the best option which simplifies the application procedure. • Candidates have to login with their registered email id and then need to click on current opportunities. • Then click on apply button. • Form need to be filled up with extra care. Before submitting also needs to check that all details are perfectly entered and required documents are scanned in original and uploaded. Then click on submit button. • Online application will be then scrutinized by the selection personnel and can be rejected if it is found that the candidate is not eligible. • Photograph needs to upload with a blue background and within the size of 60-100 kb.